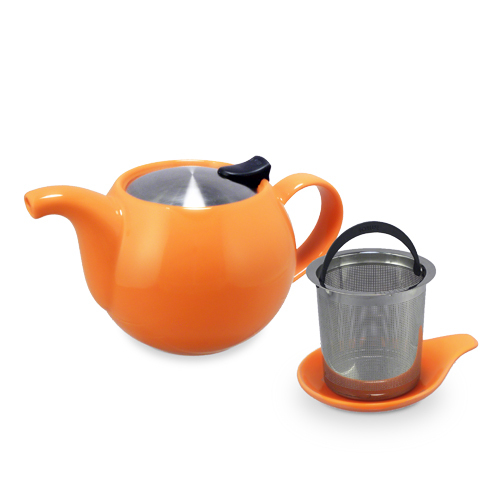 This teapot comes with a detachable stainless steel lid. This lets you easily wash it or use it in a microwave. It also has a wide deep infuser that makes steeping your tea easy. You can get it in 12 different colors.